Europe, long used to slavery (as were other large parts of the world), has tried to invent political systems that give them the ‘benefits’ of slavery without the accompanying corollaries. Apart from linguistic and cultural factors, the significant factor in all these ‘different political’ systems is approach to labour. “Western notions of a nation evolved from their tribal roots, where linguistic and cultural identities eventually defined their political units as nations … Since the late twentieth century Europe is making an attempt to politically unite these disparate nations.” (comment by Parag Tope, 2ndlook blog reader). Contemporary discussions on political systems centre around Western academic terms and theories. While, these are true (partly or completely) for most countries in the world, they are of little relevance in India. Rulers gave large land tracts to feudal lords – who in turn provided kings with tax revenues, soldiers and administered laws in their fiefdoms. With the rise of nationalism, authority became centralized. And the economy passed into the hands of land owners. Farm workers and tenants lived under paternalistic land owner-employers. Employer change was not allowed. In return, the serfs and tenants received ‘protection’ from slave raiders, invaders, the king’s soldiers and the Church authorities. Extremely rigid social structures and static social status in feudal societies increased resentment among ‘farm’ workers. Increase in tithes, taxes, wreaked havoc in farming – reducing trade, farm productivity. Demand for labour was thus also fluctuating. Primogeniture ensured that feudal titles passed from father to eldest son in most European societies. Primogeniture led to high unemployment among the upper classes with two options – employment with the Church or a mercenary soldier. This gave rise to an increase of members in the Church service and a large mercenary class of knight-soldiers, who fought for the spoils of war. The rich Roman Church gave lifelong employment and a comfortable standard of living – with prestige. Mercenaries were used in the crusades, for waging colonial wars, capture of slaves. The effects of primogeniture were widespread and a cause for concern. The decline in feudalism and primogeniture coincided with the rise of capitalism. Russia provides an interesting case study. Due to its vibrant agricultural sector, lack of access to slaves and colonies, Russia’s industrialization was delayed. Post-slavery Europe, with a shortage of labour was a ready market for agricultural output. Russia used its agricultural output to finance Russian industrialization. The abolition of feudal serfdom was designed to accelerate the industrialization of the economy by compelling the peasantry to raise crops on a commercial basis, the idea being that the profits from exporting grain would be used to import foreign technology and machinery. In many ways, the strategy seems to have been successful: grain exports increased fivefold between 1860 and 1900, while manufacturing activity expanded rapidly. Further measures in 1906, known as the Stolypin Agrarian Reform, helped to establish large, consolidated farms in place of some of the many small-scale peasant holdings. Wandering Gypsies increased discontent with ‘free’ lifestyle. Result – persecution of the Gypsies. This discontent paved the way for the communist ‘revolution’. Lenin happened to be there. Feudal employers reacted to demands for greater labour freedom with increased imports of slaves. In turn, slavery created labour surplus – leading to depressed wages for labour. Free labour moved to cities where industry could absorb this low-cost labour. Capitalists wanted and got ‘laissez faire’ capitalism – which was a ‘coda’ for unlimited slavery. The restrictions on laissez faire were actually restrictions on slaves. Decreasing demand for agricultural labour due to slavery led to depressed wages. Unemployed peasants entered the trades – and revolutions. Slavery depressed wages and increased unemployment – giving rise to a new class of journeymen. Possibly, even freemasons cults were born in similar manner – where ‘free’ masons withheld knowledge to stay free from serfdom. This unified organization was the object of both envy and resentment – resulting in persecution by the Church and authorities. This lessened responsibility for land-owner employers and increased the number of employers – with greater freedom to exploit foreign markets. Lowered entry barriers with lesser labour welfare responsibility increased competition levels among the employers. Colonial loot from South America and India, Canada and Australia reduced cost of capital to hasten industrialization. Thus ‘zero’ cost capital from colonial loot and ‘zero’ cost slave labour drove the engines of industrial Europe. Patronage by large land owners, financial backing by emerging ‘industrialists’ gave the educated and qualified, the resources to focus on innovation and invention. This was the ‘Golden Age of Capitalism.’ As slavery receded (due to many revolts and rebellions) in 19th century, Capitalism also faded. Slavery and colonialism allowed creation greater concentration of wealth – in exchange for greater perceived freedom. Two aspects led to decline of capitalism. One, was receding slavery, and secondly lack of new colonies and peoples to loot, pillage, and commit genocides. After the eclipse of Capitalism, the West needed a new economic model. A popular writer waxing nostalgic for this ‘golden age’ was Ayn Rand. Her glossing over slavery, her token objections to segregation were reminiscent of an age gone by. Her disregard for family structures was her contribution to ‘modernizing’ capitalism. The economic contribution of slavery to the wealth of the West, the creation of patronage structures for ‘innovation and invention’ and the loot from the colonies were all absent from Ayn Rand’s hagiography on capitalism. Faced with a crisis of labour due to abolition of slavery, Europe (specially England) started looking at alternatives for a new economic model. They selected a fugitive theorist, whose theories were creating unrest in mainland Europe. Communism awarded a monopoly over slavery to one employer – the State. Single employer, total monopoly (on labour, political power, economic resources), impress the slaves with the glory and future – were the elements of the new political system that Europe devised. This was the only Western ideology that was born out of design. With the demise of slave trafficking, 1832 in Britain; slavery re-introduced in 1802 by France) Europe was concerned about labour and industry. France, Brussels, Britain etc. took the lead and provided patronage to Karl Marx and Frederick Engels to devise another system – an alternate to slavery. In the next few years, their publications found eager publishers and sold well. Their books, Economic and Philosophical Manuscripts of 1844, The Communist Manifesto (published in) 1848 laid the basis for an alternative to capitalism. Marx and Engels received significant royalties from the sale of their books – and could survive on earnings from their writing careers. Obviously, Communism could not be ‘sold’ to the designated victims, that they were the new slaves. It had to be ‘bought’ willingly by the ‘target audience’ as yet another ‘level of freedom’. Slavery sold as a promise of freedom – You have nothing to lose but your chains. Most European countries moved away from the slavery-capitalism-colonialism model during the 1900-1950 period. The new political construct was Socialism – which gave freedom to labor to change employers. This was a major improvement for labour – from earlier slavery and serfdom model, where employer change was not possible. In turn, the number of employers was restricted, so that there was not too much competition for labour or markets. The burden of labour welfare was imposed on the limited number of employers – in return for limited competition for customers and employees. This resulted in a high tax burden on employers – in return for lesser competition, high trade barriers, non-tariff barriers. A twist in this socialist model was the Bretton Woods mechanism. At one stroke this created ‘invisible’ reverse flows from the poor to the rich countries – with minuscule but ‘visible’ show of flows from the rich to the poor. There are individual variations in each country – based on its own history. Some countries, like Russia, China, Vietnam, Albania moved directly from feudal system to Communist State model. Japan, Germany and Italy managed to move faster to socialism, directly from feudalism – with a short period of capitalism. These political structures were propagated very aggressively by their respective adherents. Modern academia touted these structures as the only matrix in which countries can be slotted. India for instance is very different – where non-State reform has played a very major role in crime, policing (JP’s dacoit reform), land reform (Vinoba Bhave’s Bhoodan movement), political change (JP’s Sampoorna Kranti movement). After the economic buffer from Bombay High oil discovery in 1974, the Indian State has certainly, steadily shed various aspects of its colonial legacy. More importantly, India did not go through the slavery-colonialism-capitalism route at all. It has instead inching towards a republican, (largely) market driven, democratic, declining role of State, multi-ethnic-religion-linguistic political model which is unique in modern history. What India needs to do is to one decrease the colonial inheritances further and two, give this country model a name. The lack of an academic name, slots India as a socialist country – where as it has been reducing the features of a socialist State. The post British Indian system has not been market driven.Rule of the majority has often tended to be replaced with tyranny of the majority.Who can forget the Emergency and the depths our authoritarian leaders plunged the nation into. The Dalits have been the hidden slaves -with or without state sanction. Dislike for the west is fine,but ignoring home truths is not. While Dsylexic is accurate in the diagnosis – the implicit causes and solutions (which you don’t say – but are floating around) are wrong. …however – India’s comparison with Europe’s socio-economic needs to be done in the context of India’s submergence under a foreign polity. 2. This problem is a colonial creation and all of India’s post modern choices are healing the issue. Obviously I disagree with both these viewpoints. The answer is orthogonal to these two axes. …as long as Indian’s don’t accept that the 19th century witnessed the biggest land grab in India’s history and find Indic solutions (non communist, non-socialist, non-marxist, non-capitalist) to reverse that grab – India’s polity will remain western in its outlook. Every nation, especially Republican, has gone through such a trauma. The Emergency signalled the end of the road for the authoritarian colonial model – that India continued with, in some aspects, after Independence. After 1977, two things helped. Indian commitment to plurality – and Bombay High. The biggest abuse of authority during Emergency was the forced sterilizations – which was actually driven by World Bank and Western agenda. The incarceration of political leaders was another issue – which did not affect the population, as all the leaders were released, allowed to electioneer and win the subsequent election. Slavery in the form of human trafficking with state sanction – Has never happened in India. I think the issue is of perspective. I see India as a work-in-progress – while most people see all the defects. They are missing the forest for the trees. The many successes of post-Independent India are unique and path breaking – which cannot be explained by Western structures and constructs. We cannot undo or reverse history. But yes, India needs to protect the factors of production for the producers. We need to define our legal system as such. 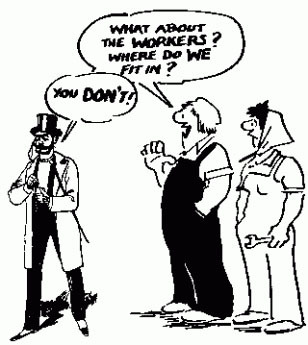 Factors of production cannot be concentrated in the hands of the ‘rent-seeking’, rich and powerful. At least the State understanding of the Naxal problem is a step in the right direction. Agree that the people of India have not fallen into the traps the leaders laid out. For example – Nehru’s with his western advisors laid out a brilliant trap by using the stick of Hindi and the carrot of language based states. India was divided along lines that have never ever existed. Andhra fell for the trap followed by Maharashtra. The idea was to balkanize India. Yet – despite the “khalistan” fiasco India did not balkanize. Maharashtra is facing another threat from the MMS… yet – India will survive. When you say “work-in-progress’ you speak of survival. 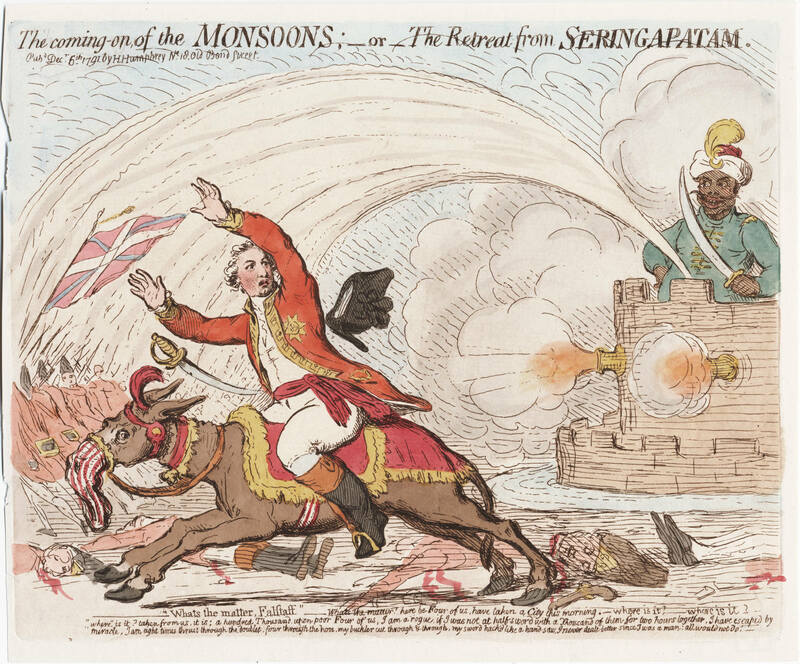 Yes – despite the attacks by Christian missionaries to culturally denationalize India, 1857 allowed India to survive as a nation… and India will survive the attacks today. Yet – I am speaking – not of survival – but of thriving. India cannot thrive as long as it embraces western polity – even if it is “curry” flavored. Which is the essence of what you admirably defend. India needs to reject western polity. Reject Nehruvian ideals. Reject Marxist thought. Reject the Indian constitution in its current form and evolve a system that is fundamentally based on Indic precedents, ideas and a polity that made India the only “sur” nation in the world. It is about motivations. Motivations are the seed from which trees of systems take shape. In Bharat, prime motivators were dharma, artha, kama, moksha . Each of them intermeshed and supporting eachother. In west, it was selfish aggrandizement, identifying with physical body and indulging in aggrandizing that narrow selfish identification. Concept of vasudhaiva kutumbakam is alien to such thinking. The systems created by such aggrandizing thought are greco-roman military culture, christianity, islam, capitalism, communism, racism, fascism, nazism, socialism. When the bharatiya re-discovers his/her root motivators, and thereby regain the path to realization, Bharat will really become free. Interesting read, however the solutions for India is not clear in the article. I have seen how culture & spiritualism acted as the link between individual & society in villages.Britishers distorted & destroyed our culture & introduced money.now doctors & potters don’t find themselves connected & responsible towards society, what matters for him is his own pleasures & sense of procreation which is fulfilled by money only .we need to revive that culture again.we lost brahmins to macalay.revive the brahmins who beg for his livelihood to realize his purpose & avoid being sycophants to power. 1. There is lot of diff b/w the terms Nation and our indic term Dhesam.. nation is characterised by race and language.. whereas dhesam is characterised by functional independant units of a society (like vellalas, soldiers etc).. jathi is a strength of nation which still now thwarted all attempts to make ours as racial..
2. The varna system was an efficient model, that is unique to indic model.. the shudras are often classified as slaves here.. but that’s not true.. shudras are only servants.. they can change their masters.. they can raise a family.. they can live as community.. they can go to other countries.. only thing is they cannot own property.. this is the most humane model of servant class available at any point of time in the world..
3. The landlordship has never been part of indic system.. even under mughals, there was only mughal officials sent for collecting taxes.. the village is the basic unit, which has an hereditary administrative head (they are NOT lords).. If we analyse history, the british introduced individual land rights, which was NOT known to indian before.. what was once a maniam lands owned by mutts was converted to private property, which can be sold.. what was once a commune land, with a head, was converted in to private estate of the same administrator.. I have records where some pattakarars in western tamilnadu, drove away every farmer in his region, after getting zemeendariship from british.. before that, he was just head of that region, having only administrative rights.. ie, he can only govern and distribute tasks, and collect revenues.. So there is no such kind of fuedal lordship in india.. i wish, this aspect be researched further across various parts of india..
@brownbrumby http://t.co/sJjh3N0E is a food for thought. Nicely presented western philosophy. Is it still true?